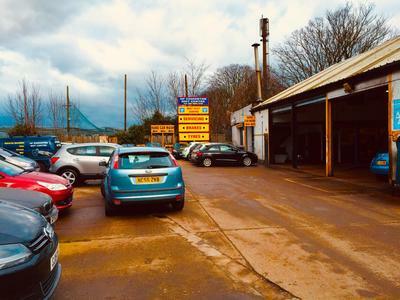 We are a Fast Fit centre for exhausts, tyres & batteries, We also are an independent garage and we can accommodate all your vehicle's needs, including servicing, all mechanical & bodywork repairs. We have customised our business to be a one stop facility for all your motoring requirements. We take pride and joy in the work carried out with quality as our main responsibility. All our technicians are well trained and certified to a dealer level, Our technicians have been in the trade for over 20 years and are well experienced to meet the best of quality. Our team is well motivated and very deadline oriented, We prioritise customer satisfaction and keep this our number one priority. We hope to see you soon!" Very good service, I enjoyed it!